Owning a business is the dream for the entrepreneur. It is also fantastic for the global economy, as small businesses make up the majority of wealth around the world. However, small businesses are particularly prone to be hit by disasters, in particular, financial disasters. In the face of a global recession, if a business is not adequately prepared, revenue could be minimized, jobs could be lost and worst of all, a business could even go under, which would be catastrophic. It is imperative that a business develops a financial risk preparedness plan by utilizing the skills of applied finance, in order to mitigate from unique risks to your business, as well as the general looming threat of a global financial crisis. Every single industry is prone to unforeseen events which can cause day-to-day activities to come to a grinding halt. From hurricanes to financial meltdowns, a business should aim to have a plan ready to deal with every single possible risk. In the face of a general financial disaster, it is important to have a plan to prepare for any situation. 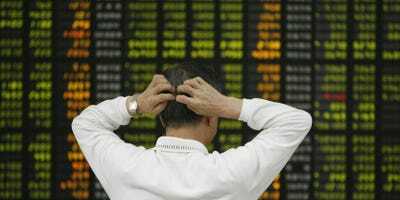 Commentators have observed that an economic downturn is imminent, as the global economy is fragile. This is due to a variety of reasons. Thus, every business should have an emergency plan based on the unique risks facing your business, as well as based on the chances that there is a global recession. This requires having an emergency plan based on identified risks. Consider the worst possible outcome and prepare for that. This means it is critical to be able to identify which risks may be specific to your business, and which risks are more general in nature. For example, some businesses such as fishing operations, or forestry companies would be more specifically impacted by a natural disaster than say, an on line e-commerce venture. However, both would face the general risk of being affected by a global financial meltdown, such as the one which occurred in 2008. If a general crisis hits, it’s important that you have taken steps to mitigate the risk to your business. This means that you should keep your business lean financially. Don’t take on too much debt and have cash resources ready, in the case that they need to be used. In addition, businesses should diversify their client pool, so that they are not reliant on any one client for business. If a business is too reliant on any one client, they are at the mercy of that client’s whims. If the client goes, then the business is at risk. Thus, it is really important when preparing for a financial disaster that you have a variety of clients who will not suddenly stop using your business if there is a financial crisis. This means that businesses need to find a better way to communicate with their clients, which may involve creating a social media account for your business. Social media allows you to connect to clients who you may not have been able to access in the past. Overall, it is clear that a world economy is a volatile place which has many divergent, sometimes contradictory, moving parts. The risk is inherent in its operation. When running a business, the risk that there will be a financial disaster needs to be mitigated, because it could cause immense financial and reputational damage should the full impact of a financial crisis hit a company. Overall, businesses should have an emergency plan and hedge their bets, in order to prevent being hit hard by a financial disaster and to protect their revenue across the long term.